As part of your comprehensive eye examination at Thomas & Mackay, our optometrist may recommend a visual field test. Its most common application is on people with a higher risk of developing glaucoma but can detect visual field defects from other causes. 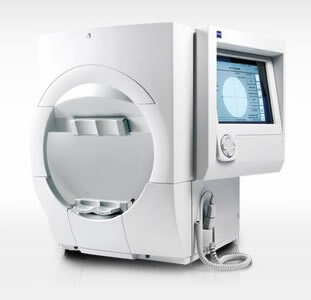 Our preferred visual field equipment is the ZEISS Humphrey visual field analyser. This test can be performed at each of our 3 locations; Norwood, Aldgate & Goolwa, and is usually payable by medicare. Your optometrist will discuss whether you should have a visual field test at your next eye test.